A monsoon storm rolls into the Dry Lake Hills north of Flagstaff. The popular local hiking and mountain biking area will likely be the location of a heavy forest thinning project over the next several years. In 2012, voters approved $10 million to fund the Flagstaff Watershed Protection Project. 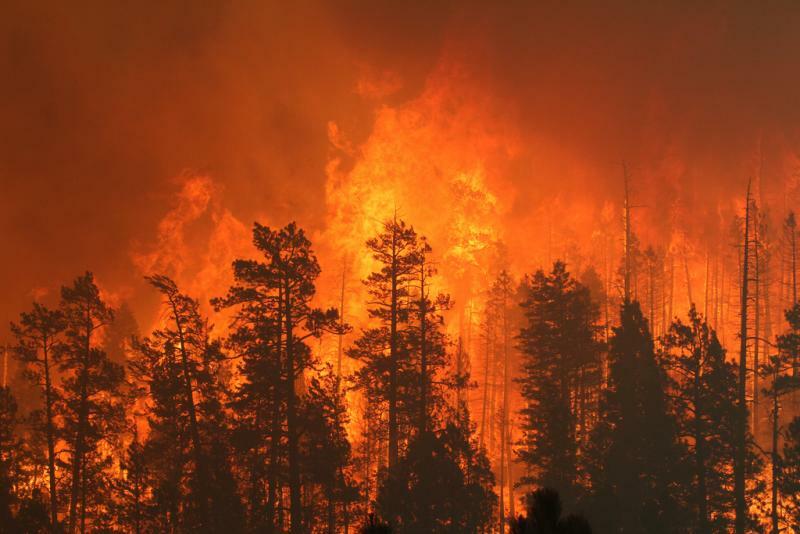 The multi-year operation would thin key parts of the Coconino National Forest close to the city where the after effects of wildfire would be particularly devastating for local neighborhoods and the water supply. 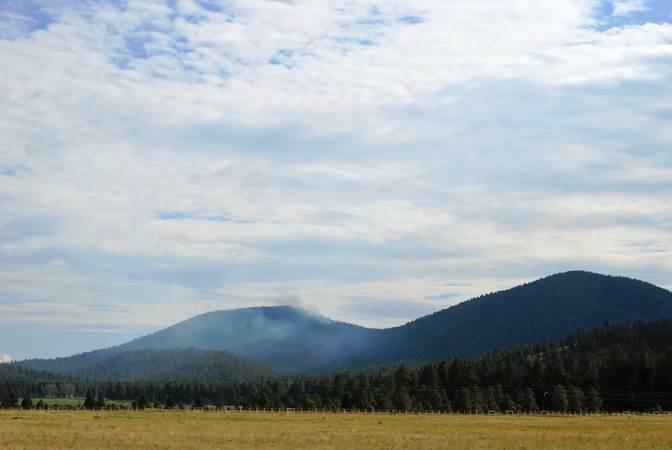 Forest managers aim to treat about 7,500 acres of dense forest in the Dry Lake Hills north of Flagstaff. About 3,000 acres on Mormon Mountain southeast of the city are also part of the proposal. The project’s manager, Erin Phelps, compares the potential fallout from a large wildfire in both locations to the widespread flooding that occurred in the Timberline neighborhood after the Schultz Fire. “Just imagine that in the city of Flagstaff. There’s just so many more homes and businesses, the hospital, the schools. It’s hard to fathom how great those impacts would be on this side of the mountain,” Phelps says.  The Forest Service is proposing four options ranging from no action, to conventional hand-thinning, to more intensive treatments using cable logging and helicopters. Phelps says the final project will likely involve a mixture of techniques and could take up to 10 years to complete. She also says the Forest Service doesn’t have a preferred option, and will base the project largely on public comment. The Forest Service estimates work on the Flagstaff Watershed Protection Project will begin in the spring of 2015. The public may comment on the possible treatment alternatives through Mon, Aug. 18. 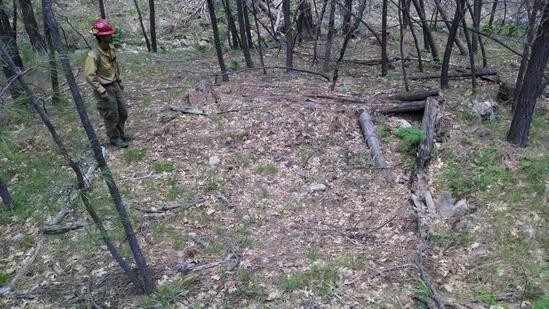 See www.flagstaffwatershedprotection.org to make a comment and see information regarding the plans. 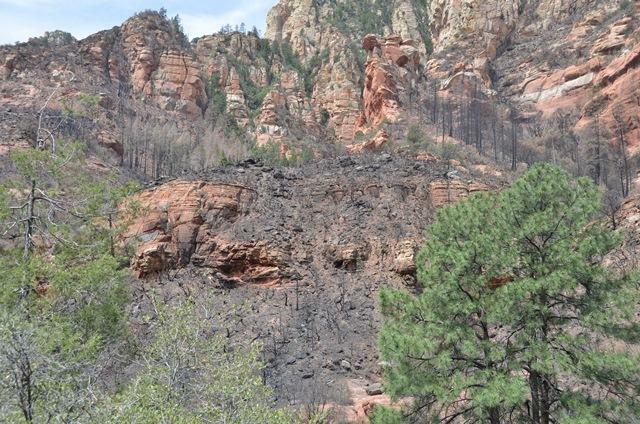 When intense wildfires burn through well-loved places like Oak Creek Canyon, the sense of loss is deep. But, sometimes wildfires offer gifts in the midst of destruction.